Firearm import and export permits are required for International Hunters if they wish to bring their Firearm but we reccomend useing one of our Firearms as it saves a considerable amount of time and messing about at Airports. We can organise tags and licences if needed,but need a considerable amount of time in advance of the April season to organise this and need to be advised of this when booking your hunt. All trophies taken must go to a Hog Deer checking station within 24 hours of being taken to have them photographed,weighed and measured. 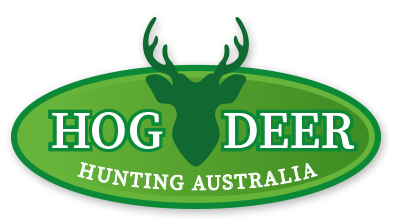 The price for a 3 day hunt and a Top Quality Free Range Hog Deer Trophy which includes accomodation,meals and beverages is $6,500 aud.